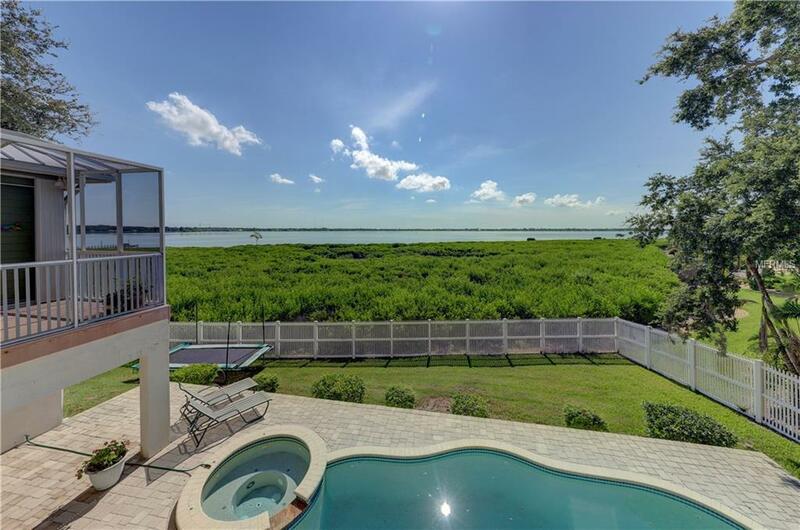 Admire mesmerizing vistas over mangroves of Tampa Bay from this incredible custom home complete with an open Pebble Tec pool and spa set on a paver deck. 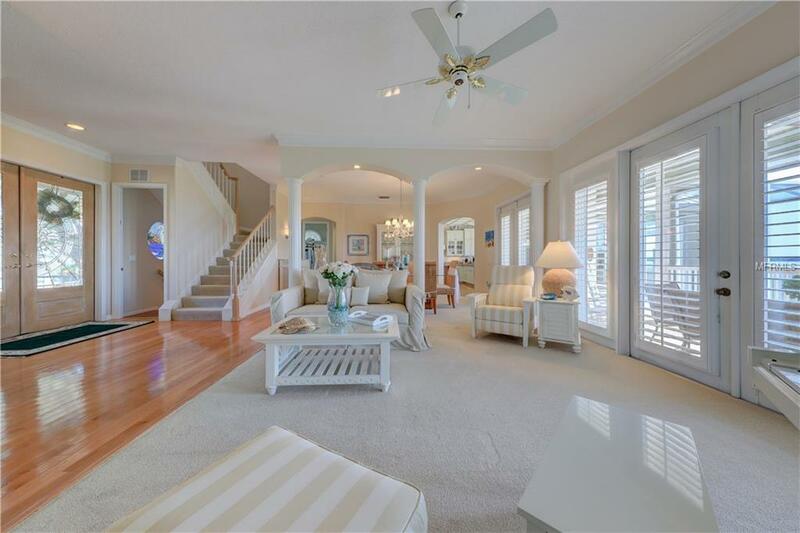 The generous open living and dining room with French doors opening to a screened porch, adjoining den or media room, family room and office with built-in desk and cabinets. The island kitchen with breakfast bar features glass front and white cabinets, granite counters, glass cook top, stainless appliances and wood floors. The master retreat offers a cozy fireplace flanked by cabinetry, French door to the porch and luxury bath with dual sink granite topped vanity, tiled shower, soaking tub and large walk-in custom closet. Two upper level bedrooms have sliding doors opening to a waterfront sunroom with vaulted ceiling and share a hall bath with dual sink vanity and tub/shower. 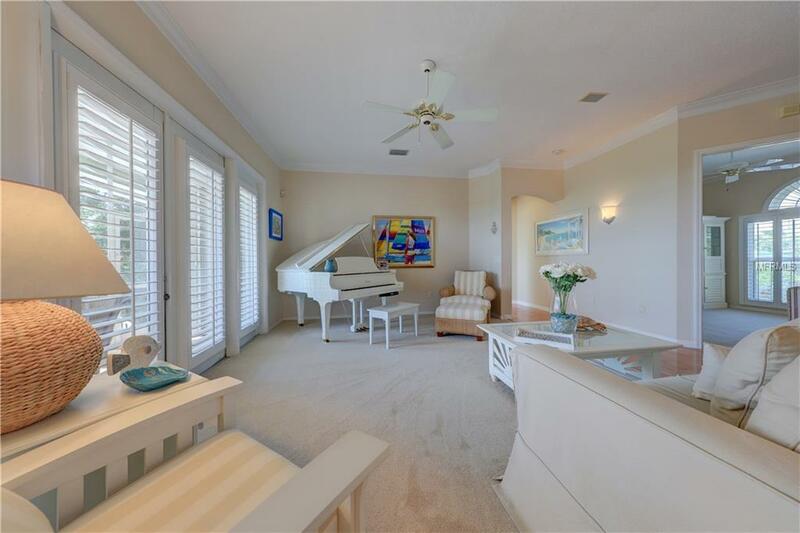 The fourth bedroom and a game room opening to a covered lanai occupy the ground level along with oversized tandem garages providing incredible storage possibilities for additional cars or boats. Amenities include volume ceilings, plantation shutters throughout, irrigation system, alarm system and central vacuum plus newer metal roof, impact windows and hurricane shutters. 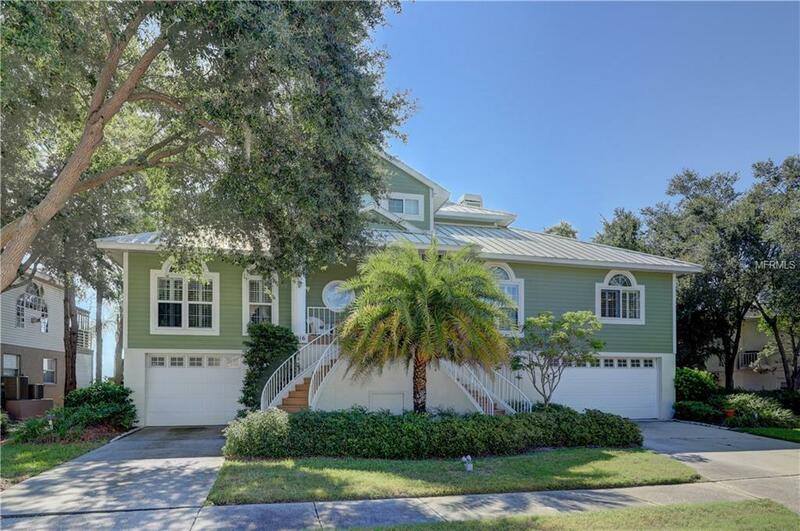 Located just minutes from downtown Safety Harbor Spa, restaurants and shops.